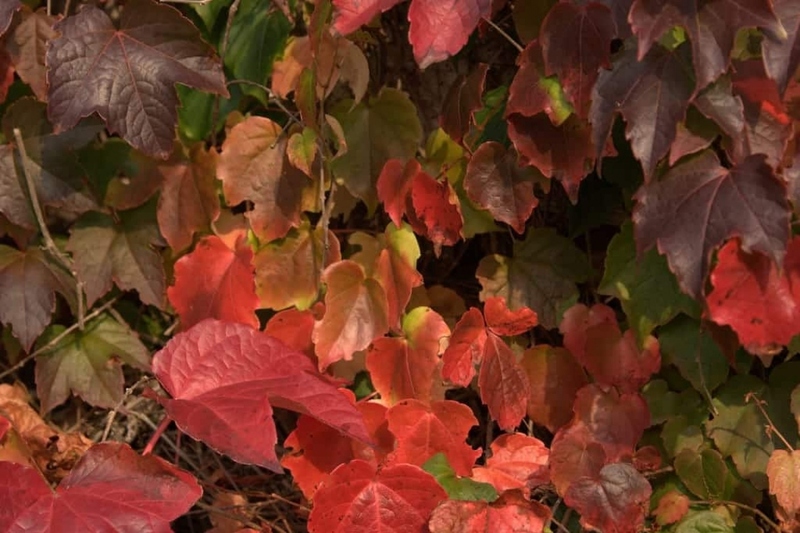 Virginia creeper (Parthenocissus spp. ): growing, planting, caring. A hardy and strong climber! Scientific name : Parthenocissus spp. Parthenocissus is a genus of tendril climbing plants in the grape family, Vitaceae, with 12 species native to the Himalayas, eastern Asia and North America. Several of which are grown for ornamental use, notably P. henryana, P. quinquefolia and P. tricuspidata. Virginia creeper is a deciduous climber native to America, attaching to its support with suction cups. The flowering is green, discreet, melliferous. The leaves are trilobed or compound, depending on the species. The foliage turns scarlet red in autumn.